Fantastic snorkelling literally off the beach - wade in some 20 metres and you're surrounded by a kaleidoscope of colourful corals and reef fish! Genuine warmth and friendliness - and having your own personal butler is spoiling taken to another level altogether! 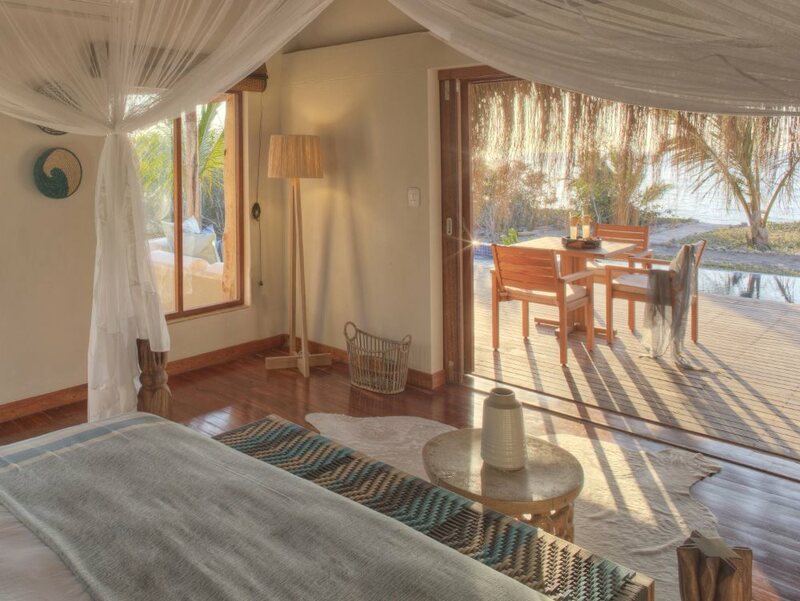 natural coral walls, makuti thatched roofs and wooden shutters combine perfectly with those inimitable Azura designer “beach-chic” styling touches and finishes to create some of the nicest rooms in Mozambique! 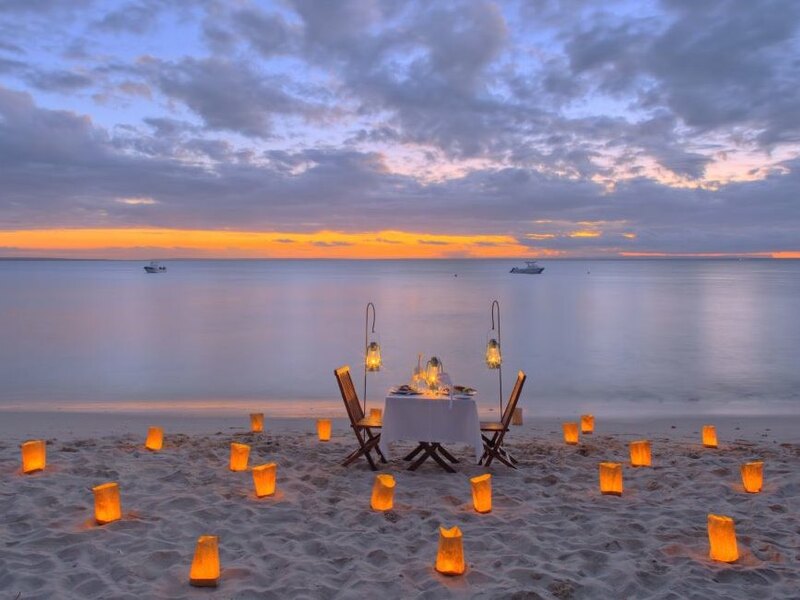 Arguably the hottest beach destination of all right now is the Quirimbas Archipelago, a sprinkling of tiny jewel-like islands in a vast turquoise sea in the far north of Mozambique, just south of the Tanzanian border. The original ground-breaking lodge here was Quilálea which opened in late 2002 and went on to garner an impressive string of accolades and happy customers before being sold, after which it was closed for a couple of years. The new owner then brought in the team behind the fabulous Azura Lodge on Benguerra Island to reinvent and upgrade the lodge – and the result is the fabulous new Azura Quilálea which sees the island even surpass its former glory! The previous 9 rustically styled villas have been extensively modernised (for example, air-con was installed in all the villas), restyled and made much more luxurious – yet Azura managed the difficult balancing act of doing this whilst still retaining the authentic and earthy character that gave the old Quilálea its unique charm. 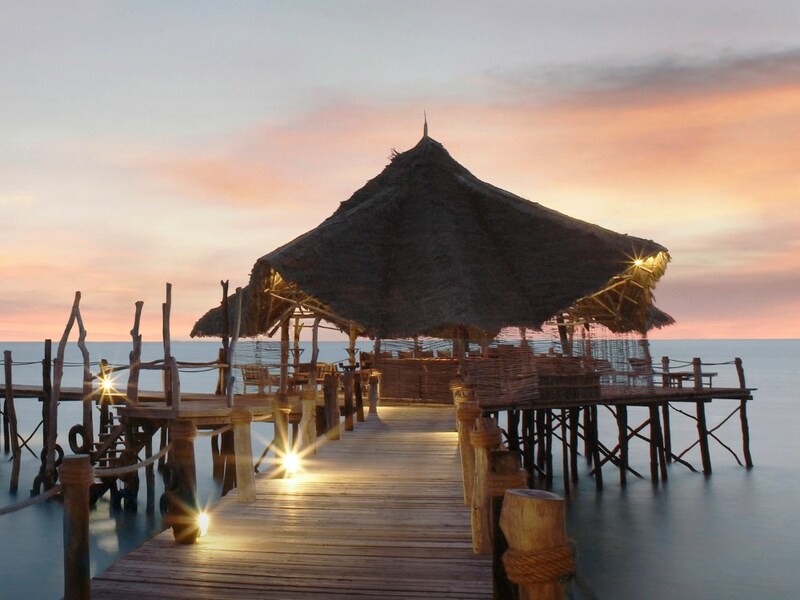 Natural coral walls, makuti thatched roofs and wooden shutters combine perfectly with those inimitable Azura designer “beach-chic” styling touches and finishes to create some of the nicest rooms in Mozambique – and with their handcrafted oversize beds and the finest linen they’re wonderfully comfortable too! You’ve a choice of 4 Sunrise Villas and 4 Sunset Villas (which add outdoor showers and hammocks), each boasting private verandas with panoramic sea views. For something really special though, treat yourself to the gorgeous Villa Quilálea, a more spacious and luxurious villa with its own private plunge pool perched spectacularly on a clifftop over the ocean. Whilst you could simply laze around the lodge’s swimming pool drinking ice-cold Dos M’s or cocktails (the lodge's normal prices are usually All Inclusive by the way so drinks are included - note however that the lodge runs periodic SA residents specials which exclude drinks), the magnificently unspoilt surroundings draw you like a magnet into doing one or other of the wide range of activities on offer here. The star attraction though has to be the spectacular snorkelling, and best of all is that the superb house reef lies literally metres off the main beach so you can just wade in and enjoy the beautiful hard and soft corals and myriad colourful reef fish (no doubt you’ll also enjoy the wonderfully balmy water temperatures of 24-28 °C!) As you might expect, the scuba diving here at Azura Quilálea is absolutely outstanding, with the island boasting its own fully equipped PADI dive centre with spectacularly unspoilt dive sites still being discovered. Even on dives just off the house reef, you’re likely to end up seeing turtles, rays and moray eels. On occasion, guests will find themselves snorkelling with dolphins. Then there’s the option of deep sea sport fishing and fly fishing, kayaking, pampering massages at the clifftop Spa, day trips to the historic island of Ibo with its famous silversmiths, guided birding and nature walks amidst the island’s huge baobab trees, magical sunset cruises on the lodge’s traditional 40 foot dhow - there is something for even the most restless traveller! 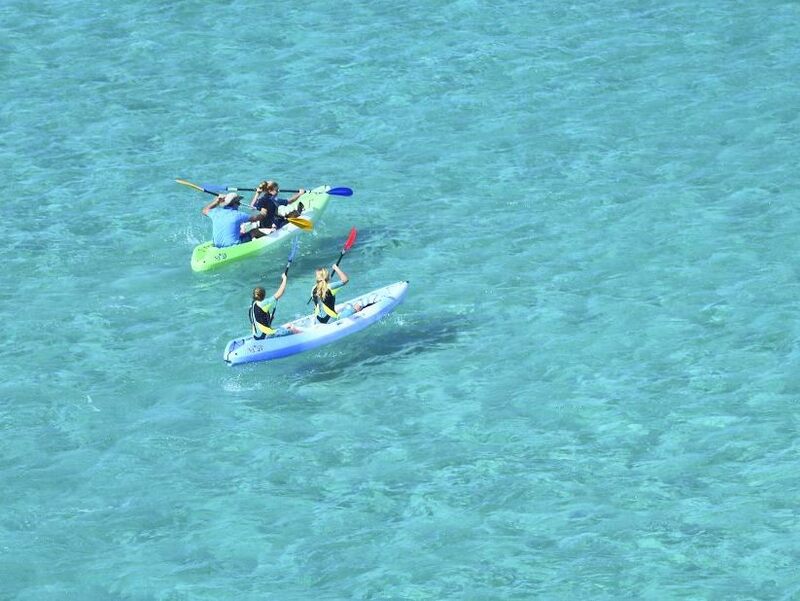 To protect the marine sanctuary (and preserve the idyllic serenity) the island does not offer motorised watersports such as water skiing or jet bikes. And just to top it all off is the big plus that Azura Quilálea is malaria-free – there being no open water on the island and hence nowhere for mosquitos to breed - all of which makes for a relaxed, stress-free island holiday. Indeed, you’ll need to keep active as otherwise you’re likely to leave the island with a few extra centimetres on the waistline courtesy of the delicious food on offer – the Azura influence has definitely made its presence felt in terms of the dining experience here and it’s backed by superb personal service! From your arrival where you’re greeted with broad smiles, a refreshing scented face cloth and welcome cocktail by your personal butler (who will look after you for the duration of your stay), what stands out at Azura Quilálea is the genuine warmth and friendliness of all of the staff. Azura has always prided itself on the dining experiences offered to guests and they’ve nailed it again here – the quality of the just-out-the-water seafood is exceptional (the huge Mangrove Crabs and Lobster are particularly good) Best of all though, Azura’s aim is that you’ll never eat in the same place twice – so you could be enjoying a candlelit dinner on the beach one night, a beach picnic the next day, or dining under the stars beneath a huge baobab tree – the imagination of the Azura hosting team is almost boundless! It all adds up to a very special experience indeed. 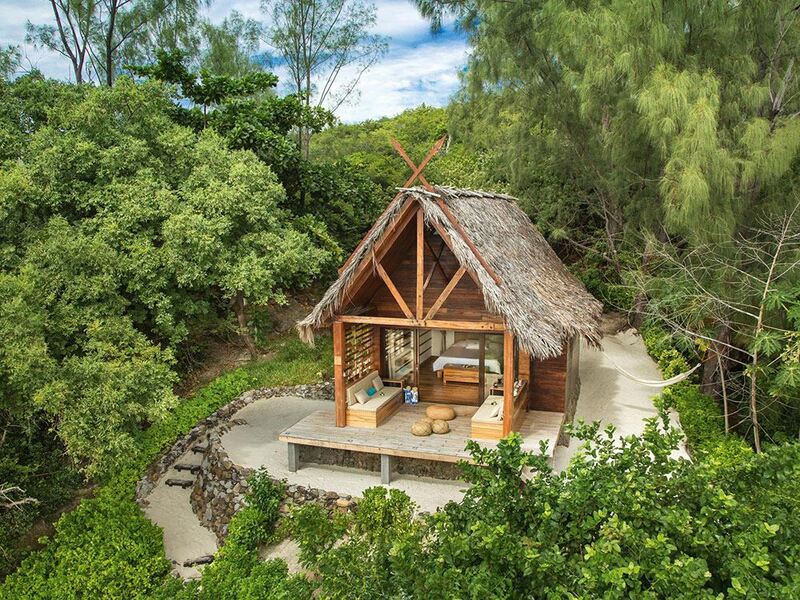 So if the idea of a gorgeous uninhabited island which offers delightful seclusion, wonderful dining, luxurious yet authentic accommodation and as much relaxation as you can possibly bear appeals to you, don’t even hesitate – it’s time you head for Azura Quilalea!